We cannot allow Scummo and his idiots to be in charge of the Australian government for another term... Life on earth depends on this critical moment in our conscience. Vote for Kerryn should you live in the Wentworth electorate. Vote for Zali to kick out that more than immense liar and denialist Turdy Abbott. The Bureau of Meteorology (BoM) has strongly rejected the conspiracy theory being peddled by Queensland Senate hopeful Gerard Rennick. The ABC yesterday revealed Mr Rennick's unconventional views on pre-school, which were shot down by the Prime Minister. Federal Labor is now calling for Scott Morrison to sack the candidate from his winnable position on the Liberal-National Party Senate ticket. Mr Rennick last month accused the weather bureau of "rewriting weather records to fit in with the global warming agenda!" "Our public servants are out of control," he said on Facebook. The spray was in response to an article published in The Spectator magazine that accused the federal agency of concocting "a consistent global warming trend". 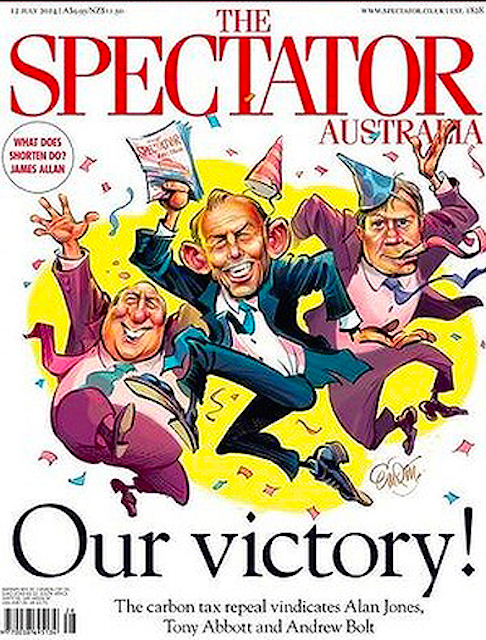 In this ugly spectacle we can see ALAN JONES, ANDREW BOLT AND TONY ABBOTT rejoicing like turdy idiots having passed the end of wearing nappies exams — about the saddest day in Australia's history. Gerard Rennick should be sacked from any political duties for having the unfortunate traits of being a liar, a deliberate ignoramus and an ill-intended man with the attention span of squashed gnat. Yes, Morrison should sack this idiot, otherwise it WILL SHOW IN NO UNCERTAIN TERM THAT SCUMMO HIMSELF IS a liar, a deliberate ignoramus and an ill-intended man with the attention span of squashed DEVIOUS gnat. But we know this, don't we? In the video with Jenny Brockie and professor Stephen Schneider above, there was one segment about filling a bathtub. Apparently the analogy was not fully understood by Doctor Ian Rivlin. With no disrespect to the doctor, we have to make a few points. 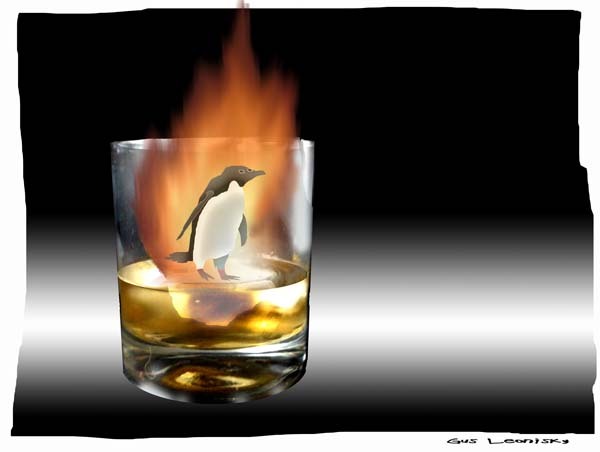 Most of the points about global warming are made in http://www.yourdemocracy.net.au/drupal/node/33287 and in Antarctica conundrum. There are also many other Gus Leonisky posts to see. But some of the comments made about the video extract (2011), https://www.youtube.com/watch?v=nZ7A1dWcNMY, were sarcastic and some completely wrong. Here on this site we're not afraid of tackling big issues, including giving "little easy" bites on quantum mechanics and about global warming. Please don't be offensive - I haven't been offensive to you or anyone else. Politeness costs nothing. I have degrees in physics, engineering and medicine. I've studied climate science since the early 1970's. Schneider said we were all going to succumb to global COOLING in 1972. He had his ardent supporters 40 years ago, who were just as passionate as the present AGW proponents. (Where are they now?) You have been mislead by this false prophet's disingenuity. Funny, If you don't change the drain size, as the water level goes up, the pressure at the drain will raise. This will cause the water to drain faster. Nature can balance herself fairly well. Which is what makes his tub anology [sic] so funny, if the inflow goes from 1.0 gpm to 1.03 gpm the water level will raise --- A little, and the tub will find a new equilibrium, it will not flood the house. In fairness to all, this is crap. The image of the filing bathtub may not have been the best analogy to describe global warming, but there is a point (an EXTRA portion of gallons per minute) at which, the outflow won't match the inflow — and the tub will spill out. This is where we're at. And I believe Dr Ian Rivlin did not mention the cumulation of anthropogenic CO2 as he mentioned "3 per cent". At present we're at more than 25 per cent of natural maximum (we have added more than 100 ppm on a natural maximum of 300 ppm) of CO2 for the last 500,000 years. I hope that since this episode of Insight, Ian has gone back to his denialist books and seen how they have been wrong. But who knows... Meanwhile, calling professor Stephen Schneider views "false prophet's disingenuity" is below the belt. I will point out that my exclusive article at http://www.yourdemocracy.net.au/drupal/node/33287 is only a thinned version of a more complex study of global warming, made for people to easily understand the problem, which I have harped on about on this site since its creation in 2005. GLOBAL WARMING IS REAL AND ANTHROPOGENIC. And the risk factors are getting more and more dangerous. I leave the ball in your court. "Schneider said we were all going to succumb to global COOLING in 1972?" I do not know if Schneider said such but one must look at the lack of information back then, when sciences were still iffy on the subject of global warming. The end of WW2 was only 27 years prior and (not strangely) things had cooled a bit after the war, pardon the pun about the cold war but this was about climate as well. And according to the Milankovitch cycles, we should be going towards an ice age. Before hand, svante Arrhenius had done some nifty calculations which were very close to the mark, back then in 1896-7. The amount of present information and observations available to correlate Global Warming should place doubt in the dustbin and we should start seriously do better mitigation than what we're doing presently. Teenage climate change activist Greta Thunberg has said that climate change is an "existential crisis" and has urged politicians to "listen to the scientists". She told BBC Radio 4's Today programme that the onus was on "corporations and states" to bring about change.